 Archaeological Museum: book your tickets now! WHY VISIT THE ARCHAEOLOGICAL MUSEUM? 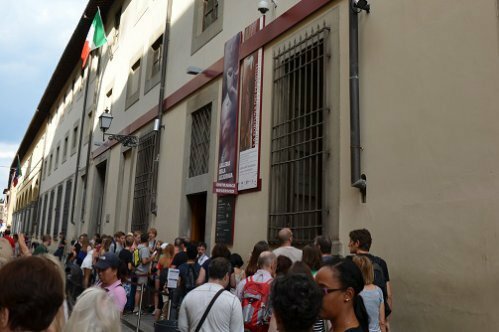 If on your tour of Florence you want to include an exciting trip to antiquity in your visits, the Archeological Museum is the place you should visit. Starting from the ground floor, you can immediately admire the garden with a beautiful variety of plants and flowers where the Etruscan tombs have been reproduced. Going up to the first floor, you enter the Etruscan area where the bronze of Minerva and the Chimera of Arezzo are exposed. Perhaps not all people know it, but the Egyptian Museum is inside the Archaeological Museum and is the second most important after that of Turin, here are exhibited mummies and sarcophagi, as well as statues, urns and vases. The third floor is dedicated to Greek archeology; here we find pots and bronzes from ancient Greece and from this room we access the small secret passage that leads directly to the Church of the Santissima Annunziata. 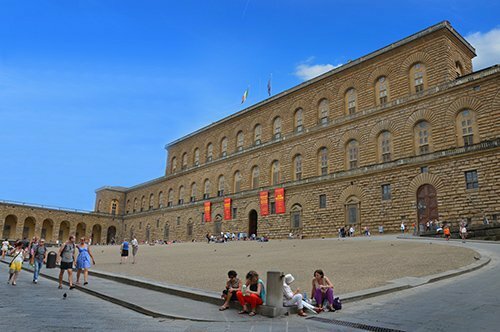 The Archaeological Museum of Florence is located in Piazza Santissima Annunziata in the Palazzo della Crocetta, which was the residence of Maria Magdalena de’ Medici, which houses important Roman, Etruscan and Greek finds. Vittorio Emanuele II inaugurated it in 1870, but only ten years later he joined the Egyptian Museum in the place where is currently and extended over time with finds and works of the Etruscan period, Greek and also Roman. At the end of the 1800s the museum was enlarged and restored by Emilio de Fabris and another important part of the museum was inaugurated, that was dedicated to the Topographical Museum. In the garden that belongs to the museum are some monumental Etruscan tombs rebuilt as they should have been originally. WHAT IS THE ARCHAEOLOGICAL MUSEUM NOWADAYS? 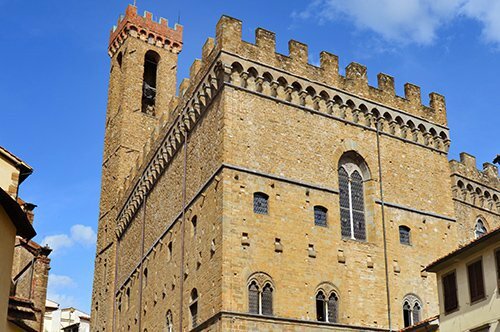 The Palazzo della Crocetta was the residence of Maria Maddalena de’ Medici and was built by Giulio Parisi, currently houses the Archaeological Museum of Florence. The Museum is divided into different parts according to the time to which it refers. On the first floor of the building is the Etruscan section, largely restored after the great damage suffered by 1966 flood. An important work in this section is the Chimera of Arezzo, a bronze statue representing a mythological creature restored by Benvenuto Cellini in 1500. The next section of the museum is dedicated to the Roman era, it is worth mentioning, among other things, the bronze statue of the "Idolino of Pesaro" which was the inspiration of many young artists of the time after having been donated by Francesco Maria II Della Rovere for the marriage between Vittoria Della Rovere and Ferdinando II de Medici. In the Greek part of the museum we can admire a large collection of ceramics from the 5th and 4th centuries BC. Here also the François Vase is exhibited, where figures of Greek mythology are represented and which date from 565 BC. It is also possible to visit the Egyptian section with numerous works that tell the splendor of ancient Egypt with ancient papyrus and objects of different materials quite perishable, such as wood, cloth and bone. Did you know that the Chimera of Arezzo, the ancient Etruscan bronze found in the museum, was initially conceived as a lion because the tail was found later? Instead, it is the chimera that, in Greek mythology, was a monstrous animal with the body of a lion, a goat's head on the back and the tail of a snake. Did you know that the Palazzo della Crocetta, which today is the museum's headquarters, was built to house Maria Maddalena de’ Medici? The Grand Duchess was born with evident physical problems and needed a residence worthy of the Medici family, but at the same time not preventing her from moving and allowing her to carry out the day's activities without attracting the curiosity of the people. For this reason, elevated parts with aerial and underground connections were built in the palace; a small private passage was also built to directly access the Church of the Santissima Annunziata from the palace. HOW TO VISIT THE ARCHAEOLOGICAL MUSEUM? When you buy the entrance ticket for the Archaeological Museum, you will have the right to the priority entry. 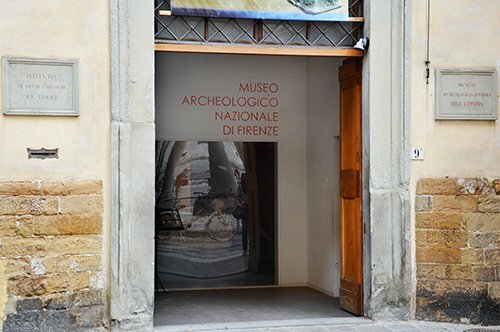 The Archaeological Museum is located in the beautiful Piazza Santissima Annunziata. This elegant square houses other important buildings that have been designed, like the square itself, by some of the most important architects of the Renaissance. In the center of the square is the Equestrian Monument of Ferdinando I de’ Medici. Strolling through Florence and following the map of Florence you can visit one of the most important Florentine squares: Piazza San Marco. 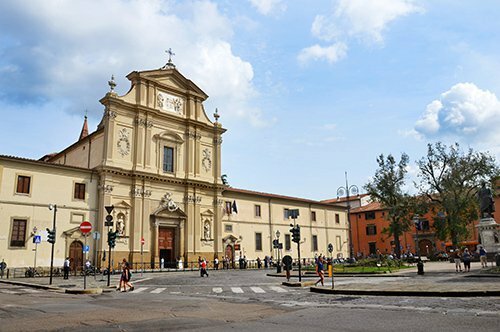 This square houses the church complex and the San Marco Museum which is very close to the Accademia Gallery, where you can admire Michelangelo's famous David. 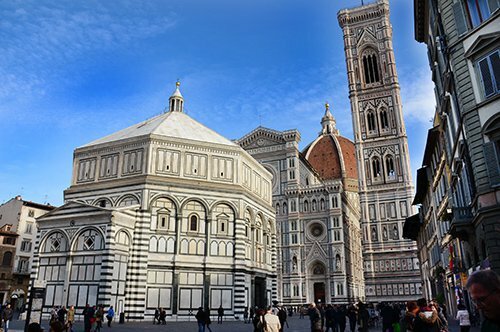 Continuing your walk, you will find Piazza Duomo to admire the Basilica of Santa Maria del Fiore or Duomo of Florence, and the Baptistery of San Giovanni, testimony of the Florentine Romanesque period. Another example of Romanesque architecture in Florence is the church of San Miniato al Monte, just above the Piazzale Michelangelo, the large panoramic terrace of Florence. 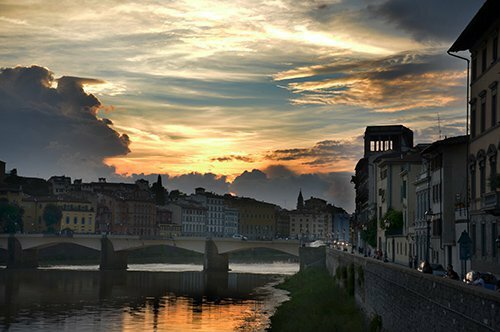 If you decide to spend a day immersed in the art of the Renaissance, Florence offers you many options. 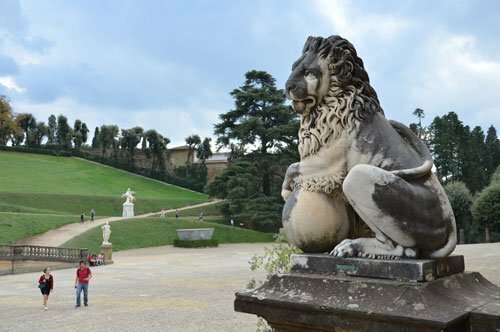 You can visit the Boboli Gardens and Palazzo Pitti, which houses the Palatine Gallery and the Modern Art Gallery on the main floor. There is also the Bardini Museum. 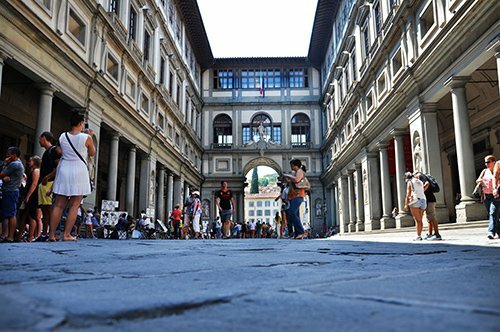 Or spend part of the day in the Uffizi Gallery or in Palazzo Vecchio and then stroll through the city center and the Ponte Vecchio. 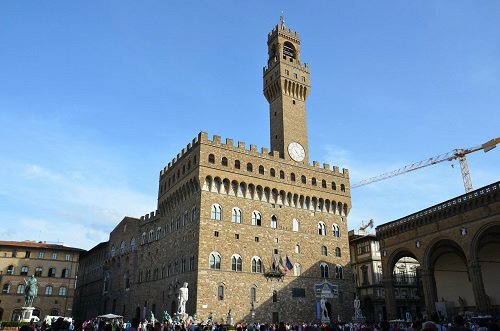 Not far away, the house of Michelangelo and the Bargello Museum will welcome you with its collection of statues and its splendid architecture. 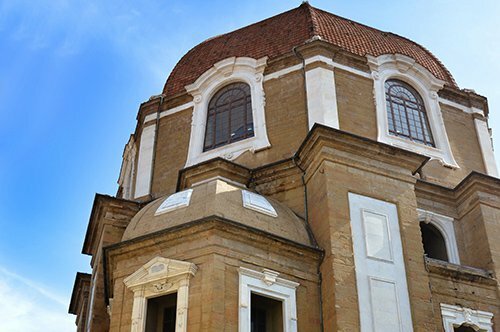 With a short walk you can reach the Medici district and visit the Church of San Lorenzo and the Medici Chapels, where many of the members of the Medici family are buried. If you prefer to visit other places in Tuscany, you can opt for cities such as Lucca, Arezzo, Siena or you can go to Pisa to visit the Piazza dei Miracoli (Square of Miracles) and the Leaning Tower of Pisa and even other towns such as Vinci and San Gimignano.